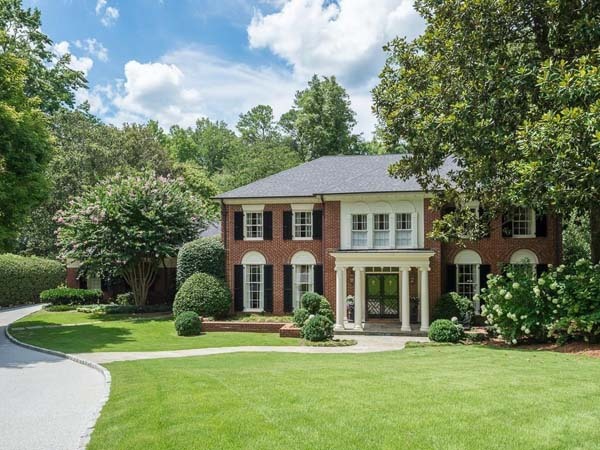 Check Out Dorsey Alston's New Atlanta Luxury Home Listings for the Week! 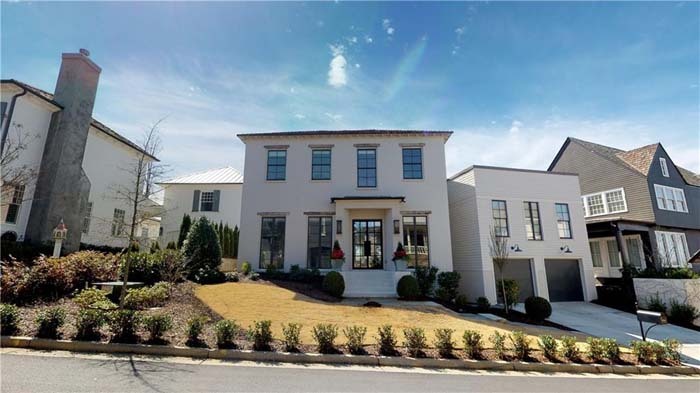 One of a kind new construction by Siegel Construction & Design on one of Atlanta's most exclusive streets in the South! Main floor features oversized iron windows and iron doors, oak monocoat floors, reclaimed beams and white oak bookshelves. 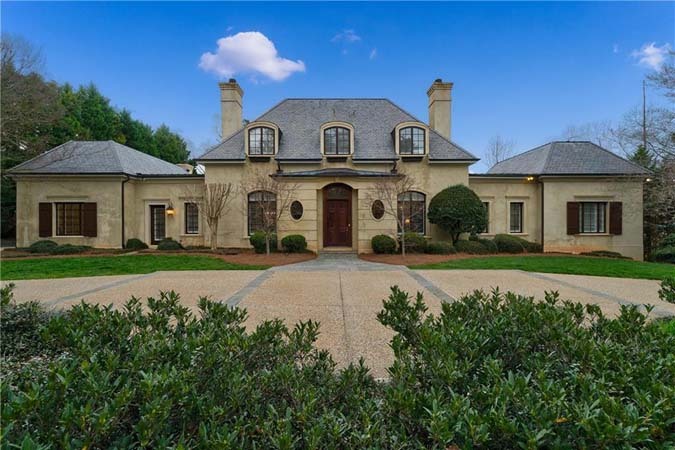 Privately situated in one of Atlanta's most exclusive estate neighborhoods, this handsome home boasts compelling architectural details throughout. Master on main, chef’s kitchen, media room and French doors opening to covered loggia leading to walk out- backyard and secluded pool. 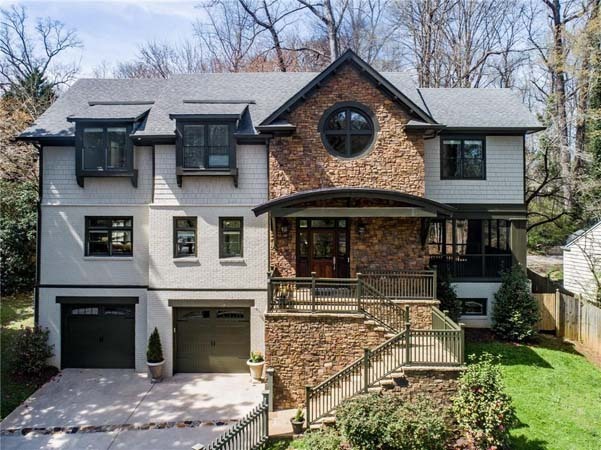 Stunning home with beautiful designer finishes located at the end of a quiet, Buckhead cul-de-sac. Fabulous, light filled living spaces include living room with fireplace, paneled keeping room and spacious dining room. 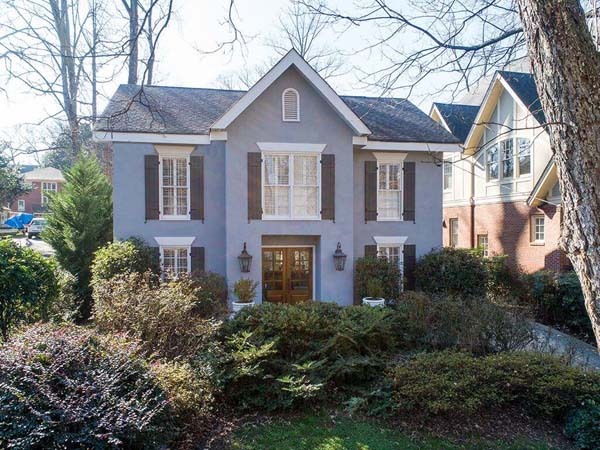 Beautiful, impeccably maintained home in the heart of N Buckhead. 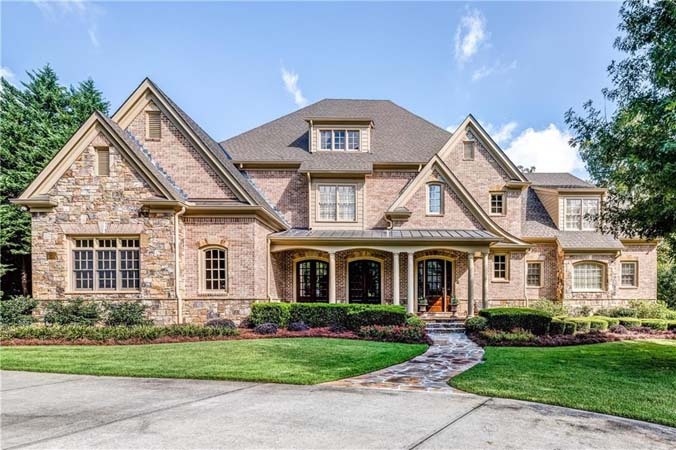 Features 2 story foyer with winding staircase opening to gracious dining room, gourmet kitchen and master suite on main with fireside sitting area and his/hers walk in custom closets. Stunning 4 bedroom, 4 bathroom in Morningside with open floor plan, updated white and gold kitchen, media room and covered deck overlooking heated saltwater pool. 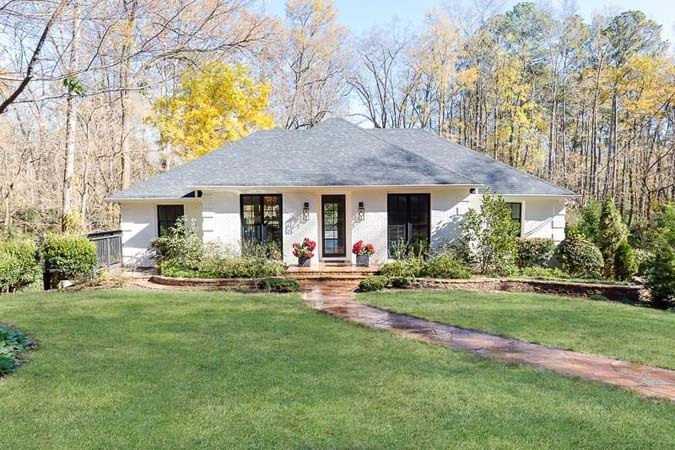 Beautiful 1+ acre lot in Chastain Park nestled among multi-million-dollar homes. Charming, cottage style 4 bedroom, 3 bathroom home perfect for addition/renovation or as a building site. Beautifully designed, custom home situated on over an acre of arguably Milton's finest landscape. Outdoor living is given a top priority with an oversized deck, stone fire pit and open-air living room. 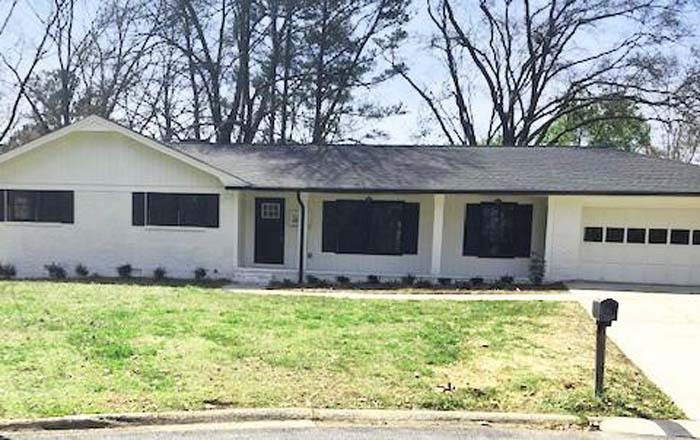 Newer construction home in pristine condition--newly refinished hardwood floors and brand new carpet in bedrooms. Open floor plan on main with 4 generously-sized bedrooms and 3 baths upstairs. 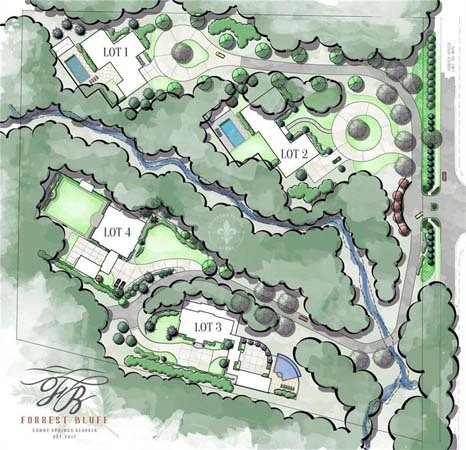 Lot is available for a custom built home by Southern Gentry Homes, who was selected to build the show home and host the 2019 Southeastern Designer Showhouse & Gardens, May 2019. Beautiful light-filled home in the best Morningside location! Spacious, updated kitchen opens to family room with built in bookshelves and vaulted ceiling. Family room opens onto a covered patio, perfect for outdoor entertaining. 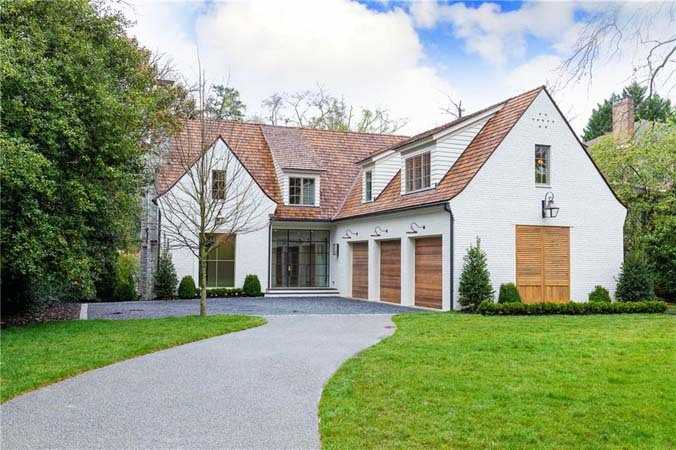 wood beams, masonry fireplace, exquisite lighting and finished white oak hardwood floors. 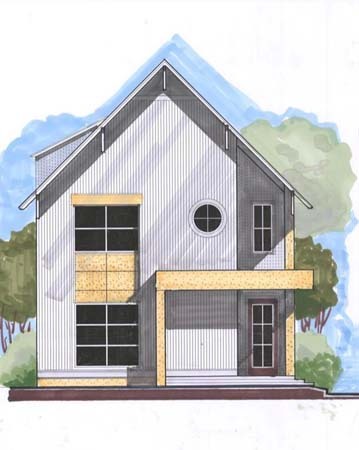 A modern farmhouse designed and built by Junger Homes! 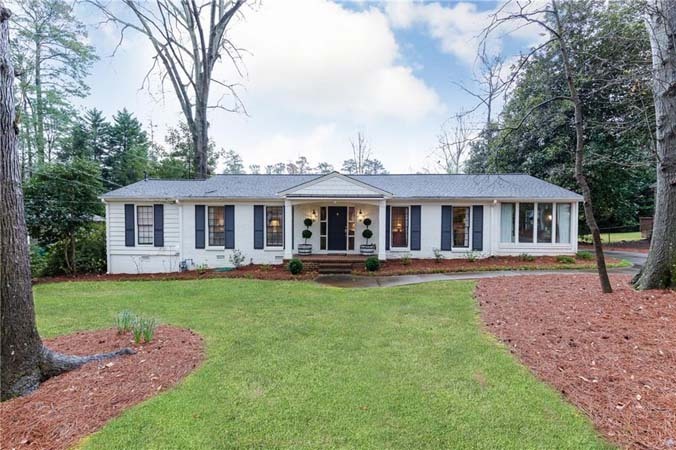 This home features 12' ceilings on the main level, gorgeous white oak floors, shiplap walls, barn doors and large windows providing tons of natural light throughout. Fantastically maintained 3 bedroom, 3.5 bathroom home in Underwood Hills. Beautiful kitchen renovation opening to family room and sun room, large master suite, flat backyard and bonus room. 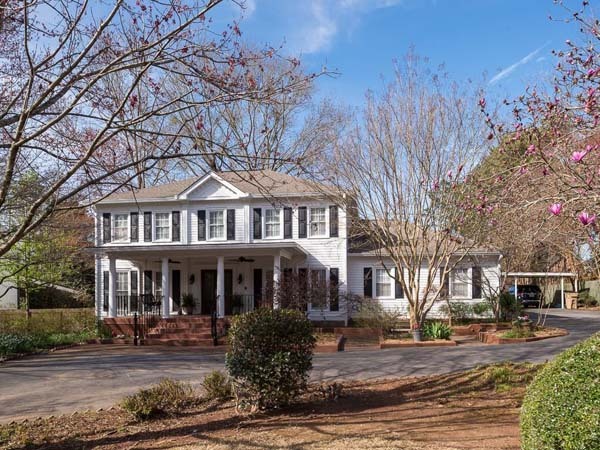 Beautiful, traditional 5 bedroom, 3.5 bathroom home in Riverhill. 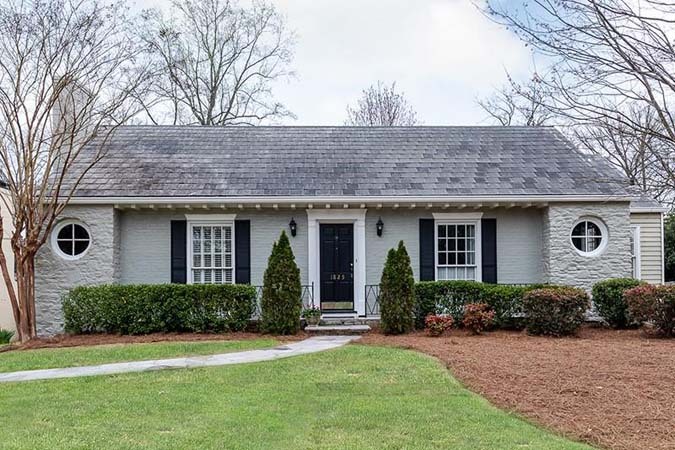 Welcoming front porch, master on main with grand master bathroom, spacious kitchen and covered porch overlooking private backyard. Charming 3 bedroom, 3 bath home in sought after Meadowbrook! Hardwood floors throughout, new roof and new HVAC. Beautiful, true master suite with marble master bath, double vanity and walk-in closet. This professionally landscaped 4 bedroom, 3 bathroom home in Ashford Park has unbeatable curb appeal! 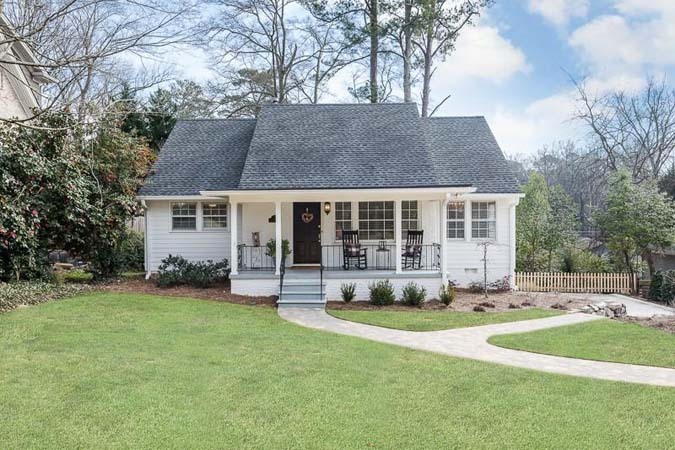 Inviting front porch, white kitchen, French doors opening to private backyard with deck and more. 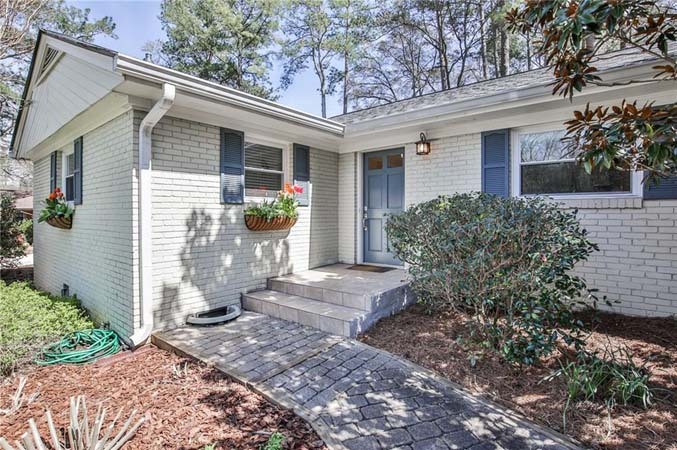 Charming 3 bedroom, 2 bathroom home in sought after Collier Hills! Features floor to ceiling windows with plantation shutters, updated kitchen and brick patio opening to flat backyard. Gorgeous, light-filled open floor plan with two story soaring ceilings. Dark hardwood floors, built-in shelves, private office, huge open dining room and floor to ceiling windows galore! For the Mid-century Modern Enthusiasts-a gem that captures the mid-century vibe! Renovated kitchen and bathrooms in this true 3 bedroom, 2 bathroom home. Family room with entire back wall of windows overlook covered patio and flat back yard. 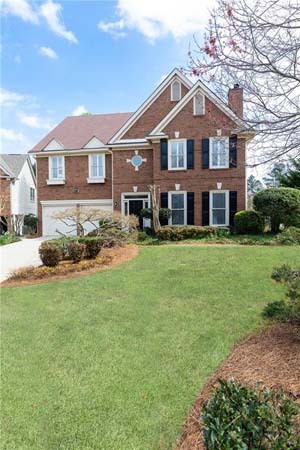 Spacious 3 bedroom,4 bathroom end unit in Vinings Overlook with open floor plan, hardwood floors throughout and basement with bonus/room office. Renovated ranch on cul-de-sac and beautiful lot with great backyard. 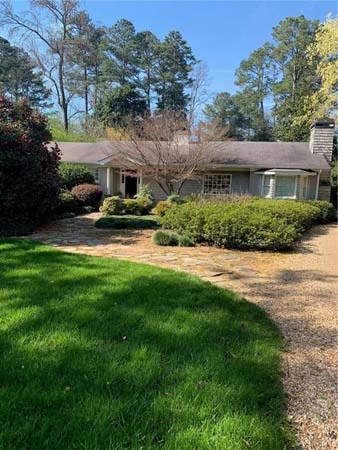 Refinished hardwoods, new roof, paint interior + exterior, new appliances, HVAC, refurbished deck and rail, plus huge full unfinished basement ready to finish off. Wonderful family home in cul-de-sac neighborhood in Sarah Smith Elementary School district. Beautifully appointed throughout with professional kitchen, luxurious master suite and full finished basement. 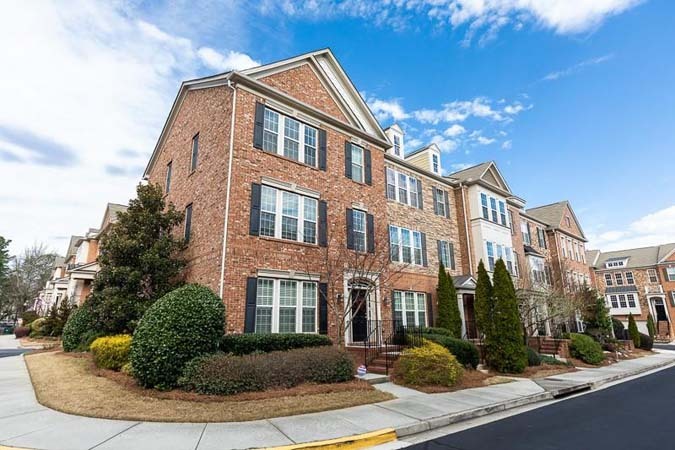 Perfect townhome in Marietta close to shopping, grocery stores, restaurants. 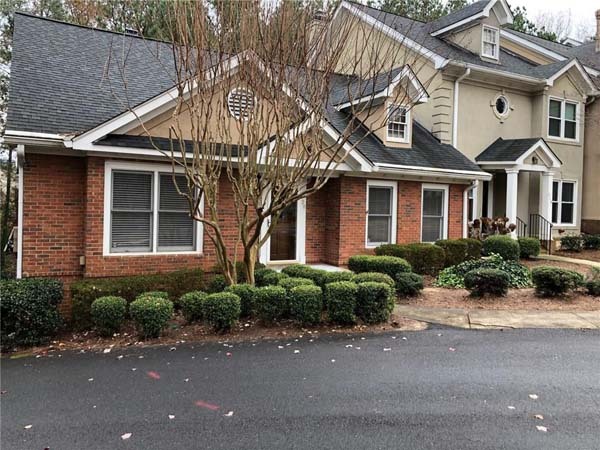 Brick 3 bedroom, 3 bathroom end unit with large kitchen and separate dining room.